Many customers are still not familiar with the DTG decorating method. The invention of direct to garment printing (also known as digital printing, D2, or DTG) is arguably the greatest advancement in apparel decorating in the last century. For those unfamiliar with the concept, direct-to-garment printers are basically industrial inkjet printers with special inks designs to print full color images directly onto garments. Jobs that were previously too small or expensive for a screen printer to handle are now able to be printed quickly and affordably. For instance, most print shops had to turn down a three-shirt, ten color job. Additionally, the costs were too high for customers to accept on a frequent basis. On-demand printing is now possible. Testing a shirt idea out or printing a prototype are tasks that can easily be done without a large investment. The original printers were basically modified ink jet printers. They printed slowly and only on white and other very light-colored shirts (ash grey). Pretreating is the process of spraying the shirts with a mixture that allows the ink to bond to the shirt. This used to be done with a paint sprayer. Problems were consistent (clogged nozzles) while the production results were inconsistent (due to uneven pretreating). Eventually white ink was introduced, but many users had problems with clogged print heads. The advancements in DTG printers in the last 10 years are amazing. First, we have printers with recirculating print heads or wet-capping stations. This keeps the heads from clogging and saves on wasted ink. Second, stand-alone and built-in pre-treat and humidity systems are available. Humidity systems create a more stable environment for the printers. Pretreat machines ensure even coatings on garments. Third, the addition of additional ink colors like red and green expand the color gamut. Finally, industrial printers provided a massive increase in production speeds. Advancements in RIP software have helped produce better print results. Kornit printers lead the industry in all these areas. 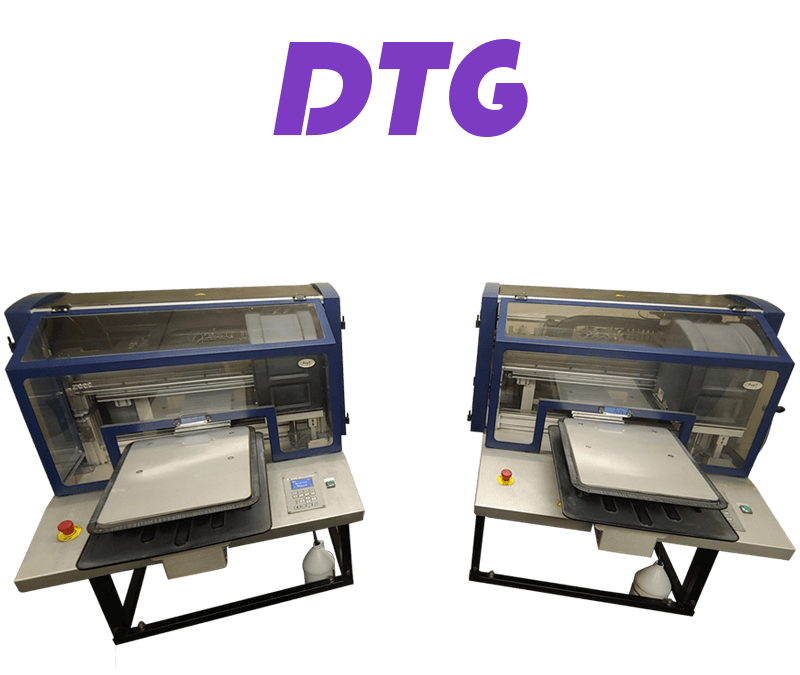 DTG printing has basically gone from a functioning prototype to a multi-million-dollar industry. Direct to garment printing is really at the infancy stage in its development cycle. We can only wait and see what enhancements DTG printer manufacturers will bring us in the future! Neon and metallic inks are at the top of our wish list! An ink that doesn’t crack on stretchy fabrics is an ideal upgrade as well. 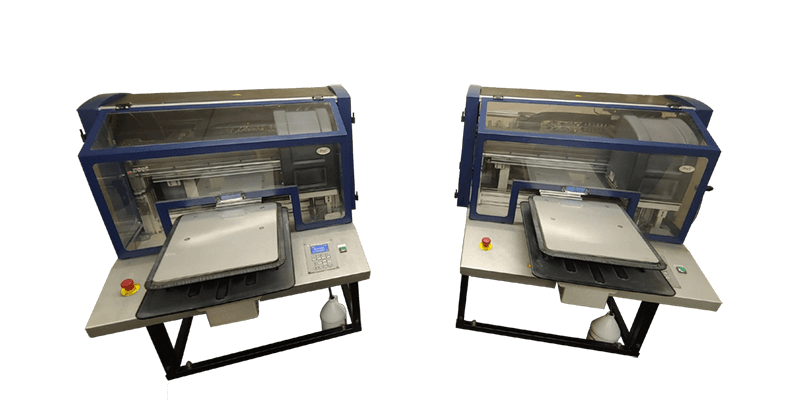 At A+ Images, we entered the DTG printing market in the fall of 2013 with the purchase of two Kornit Breeze printers. Five and a half years later, we are still printing with them. This is mainly thanks to the Kornit Breeze wet-capping stations we developed. Our machines don’t have the new fancy recirculating print heads, but these trays keep our heads from clogging. Additionally, we made our own pallet to allow for polo (left and right chest) and short sleeve printing. We have printed on a variety of fabrics: cotton, polyester, cotton/poly blends, tri-blends, denim, canvas, and even wood. Is Direct to Garment Right For Your Project? Wondering if DTG printing is right for your custom apparel project? First, determine if your fabric is compatible with digital printing. Many manufacturers and sales reps say DTG is designed for 100% cotton shirts only. This may be true for some printers and ink systems, but not ours. Generally, we can print most fabrics that fit in our machine and can absorb water. Anything chemically treated to repel stains or water won’t print at all (nylon, waterproof jackets, plastic, etc.). Stretchy fabrics like Lycra and Spandex can be printed, but normally crack apart quickly. Therefore, we strongly discourage printing on stretchy fabrics. Next, if your fabric is DTG compatible, the lower the quantity of garments in the order and/or the more colors in the design, the more likely DTG is the better option. Towards the opposite side of the spectrum, screen printing makes sense the more garments you have and the fewer the colors there are in a design. 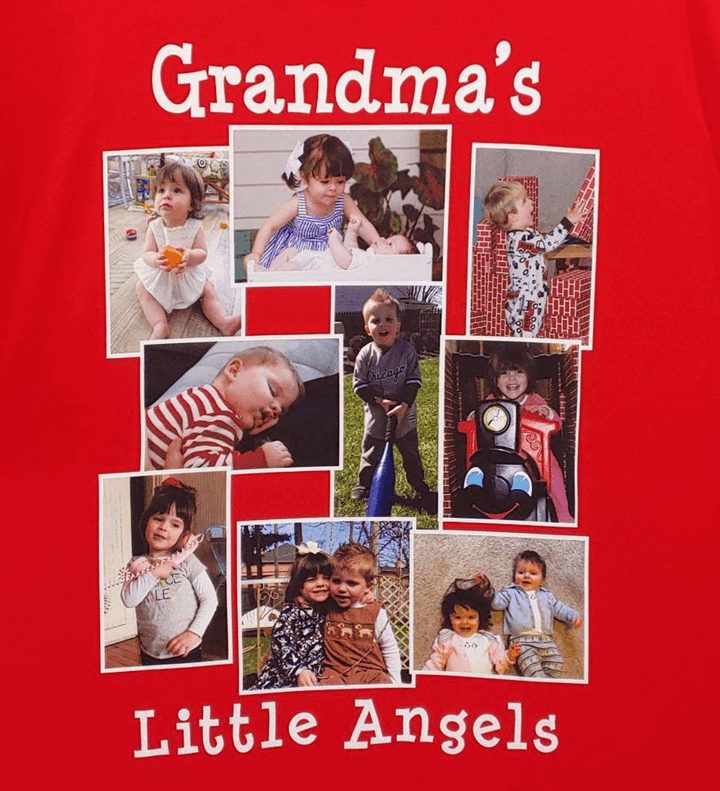 For instance, print a single birthday shirt with a photo on it with direct to garment printing. Screen print an arena full of promotional one-color t-shirts. When you tell us the details of your project, we will determine the best decorating method for your order. DTG might work, but screen printing, vinyl, or sublimation might work better. Finally, once you determine DTG is the correct print method for your custom shirt project, setting up the artwork correctly is the final step. While our printers can print any file you can open in photoshop (except metallic or neon colors…yet), getting colors to look bright and controlling ink levels to prevent bleeding and over-saturation to produce a gorgeous print is important. Our Breeze printers use translucent CMYK inks to create millions of colors. However, they basically use their own unique CMYK chart. Adding a white-ink base allows for printing on dark garments. Using proper codes to get the colors you want might make your artwork look odd on your monitor, but it will result in a good print. For instance, most designers would use 0/100/100/0 for red. For our printers to print red, the code needs to be 0/100/65/0. This makes “red” look “hot pink” on your monitor. Another important factor is to use codes where the total values add up to 260 (our of 400), or less. This helps prevent over-saturation and bleeding. To make art setup easier, we sell shirts printed with hundreds of DTG color swatches for $20. For more information on color matching and proper artwork setups, visit our DTG service page. These specific codes allow us to color match to a decent extent, which is something most DTG printing companies are not able to offer. More important information regarding direct to garment file setup can be found in our service page. Many people ask us if direct to garment printing is as durable as screen printing. If properly cared for, it is pretty comparable. “Properly” means washing in cold water and hang drying. Heat is the enemy of most decorated apparel. In our office, we have a display featuring a brand new DTG printed shirt, along with a shirt that has been washed 16 times. Nobody has been able to tell the difference between the shirts. Stop by our office and see for yourself! Now that you know more about direct to garment printing, visit our custom shirts page to get started on your custom DTG shirt project today!